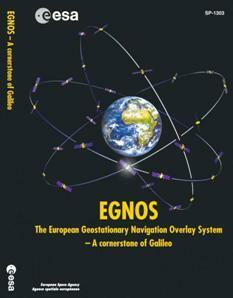 The most awaited book in the GNSS community, "EGNOS - A Cornerstone of Galileo", was released in 2007. Published by ESA, this will be a valuable resource for SBAS students, teachers and other GNSS professionals. This book has been written for a large variety of people: from the GNSS engineering specialist to the final system users and application developers. This book should also be helpful to complement GNSS graduate or undergraduate University courses, including GNSS specialised Master Programmes, in which the SBAS GNSS technology and related applications are part of the program. This book produced by ESA and industry is a technical book and presents a complete view of the EGNOS mission, system and architecture. It provides a review of key GNSS fundamental concepts; introduces other existing/planned SBAS systems; presents and discusses EGNOS performance and applications. It also has dedicated chapters for the future GNSS systems, including GALILEO and the planned modernisation programmes of GPS, Glonass and EGNOS. The above mentioned topics are classified into 5 Chapters. The book consists of 41 Sections, each one of them consisting of a dedicated article dealing with a specific aspect of the EGNOS system. Under the excellent technical supervision of our Editors, Dr.Javier Ventura-Traveset and Dr.Didier Flament, this book has been mostly co-authored by recognised GNSS engineers in each specific domain, either from the EGNOS European Industry, the European Space Agency (ESA) or internationally recognised experts from USA, Japan, Russia, Canada and India. The book is also complemented with 5 Appendixes.
" ......... the EGNOS System has been developed in harmony to the ESA inspiring principle of “Shape and Share”, i.e. shaping space technology together with the European Industry, and sharing their benefits and knowledge with the European citizens. This book aims at following the same inspiring principle: it is therefore our strong and sincere wish to have been able, with the excellent support of all the authors of the different Chapters, to share our knowledge on EGNOS and GNSS with all the future readers." The book (Ref: SP1303) is available from the ESA Publications.